Galant VR-4 Forums » Marketplace » Parts For Sale » FS: Enkei RPF1 17x9 5x114.3 bolt pattern. +35mm Offset. Silver finish. FS: Enkei RPF1 17x9 5x114.3 bolt pattern. +35mm Offset. Silver finish. Enkei RPF1 17x9. 5x114.3 bolt pattern. +35mm Offset. Silver finish. Brand new in the box. Price for the set is $899.00 for the set. Message me for shipping quote. 17 9.0 is 16lbs per a wheel. 17x8.5. +30 offset: Big brake clearance. 17x8.0 +35 offset in black. Couple other sizes I have available. Enkei RPF1 17x8 5x114.3 +35mm Offset Matte black finish. 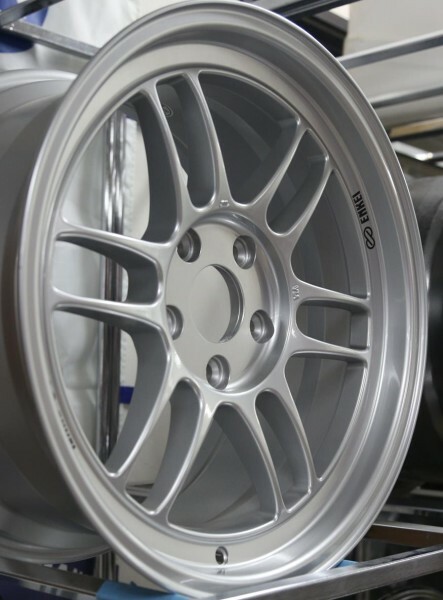 Enkei RPF1 17x8 5x114.3 +35mm Offset Silver finish. 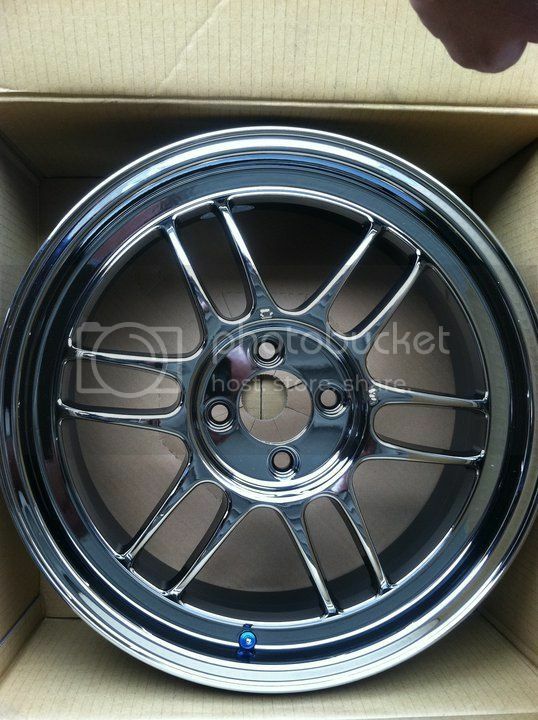 Enkei RPF1 17x8 5x114.3 +45mm Offset Silver finish. 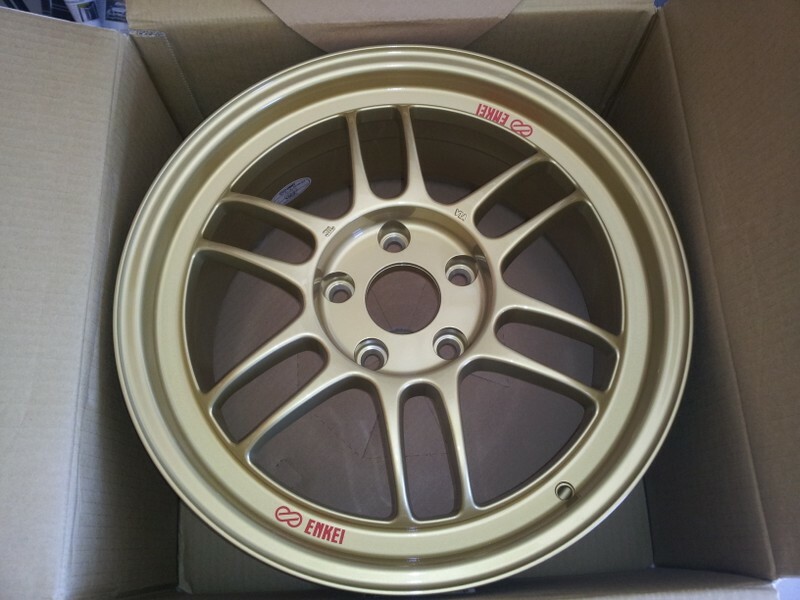 Enkei RPF1 17x8 5x114.3 +45mm Offset Gold finish. 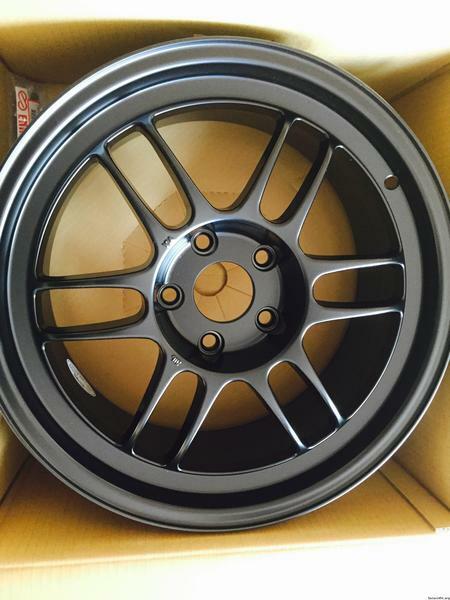 Enkei RPF1 17x8.5 5x114.3 +40mm Offset Silver finish. Enkei RPF1 17x8.5 5x114.3 +35mm Offset Silver finish. Enkei RPF1 17x9.0 5x114.3 +35 Offset Black finish. Enkei RPF1 17x9 5x114.3 +45mm Offset Matte black finish. Enkei RPF1 17x9 5x114.3 +45 Offset Silver finish. Enkei RPF1 17x9 5x114.3 +45 Offset Super brilliant chrome finish. Enkei RPF1 17x9 5x114.3 +45mm Offset Gold finish. Enkei RPF1 17x9.5 5x114.3 +18 offset Silver finish. Enkei RPF1 17x9.5 5x114.3 +38mm Offset. Silver finish. Enkei RPF1 18x8.5 5x114.3 +30 offset. Silver finish. Enkei RPF1 18x8.5 5x114.3 +40 offset. Silver finish. Enkei RPF1 18x9 5x114.3 35mm Offset Silver finish. Other sizes offered. Message me. Enkei NT03 in hyper black finish. 17x9.5 +38 offset. 5x114.3 bolt pattern Clears big brakes. Enkei NT03+M 18x9.5 hyper silver finish. 18x9.5 +27. 5x114.3 bolt pattern. I offer the full line up from Enkei. Message me for wheels you don't see listed. Damn those are hot. Love these wheels! Had a set on an s13, worth every penny. Yea got 17 9.0 or 17 8.0 45 offset in gold available. 5x114.3 bolt pattern. 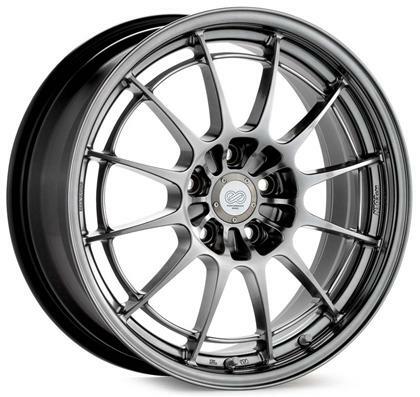 How much for the Enkei RPF1 17x9 5x114.3 22mm Offset Silver finish? Can you get 18x9 +35 in 5 on 112? I want something new for my Audi. I only see an 18 8.0 35 offset 5x112. No 18 9.0. 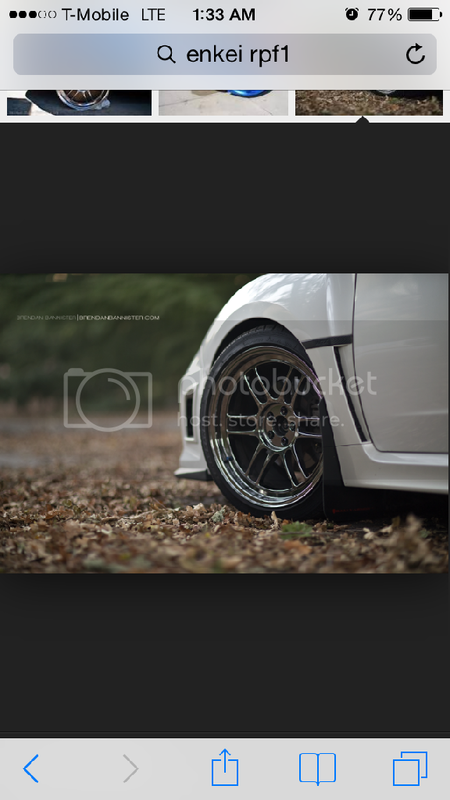 R those 17x9 +35 clear evo brembos???? Sent you a message. Yes they do. Any 18x9 at all in that bolt pattern? Maybe in a different offset? Some peeps on my Audi forum are putting together a group buy based on those specs. I figured you might be able to get the same and I'd rather buy from a gvr4 guy. What's the lowest offset you have in 17x9 and 17x10? For 17 10.0 I have +18 offset. Silver finish. 17 9.0 is +22 offset in silver finish. Charles can you get any of those sizes in this finish though? Because if you can, then I'd be interested. If I can sell my Rotas off my other Galant...you will be hearing from me. Thanks Chris! I really like these, and think they would look pretty good on the VR4. How much for the 16x8 5x114.3? I'm guessing the +18 is the lowest mass produced offset. Thanks correct. Lowest they offer. Can you get anything in 4 lug? Generated in 0.104 seconds in which 0.081 seconds were spent on a total of 14 queries. Turbo powered.